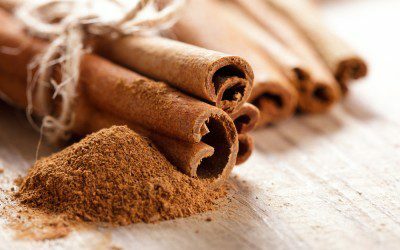 About nine years ago (way back in 2006), I wrote about cinnamon and diabetes. To this date, people still ask questions and post comments about this topic. Since then, more research is available that (hopefully) sheds more light on whether cinnamon lowers blood sugars and HbA1c (a measure of blood sugar control over the previous 2–3 months) — or not. Let’s take a look at where things stand in 2015. A study that I cited in 2006 was one published in the journal Diabetes Care back in 2003 by Khan et al. The researchers gave different doses (1, 3, or 6 grams) of cassia cinnamon to subjects with Type 2 diabetes for 40 days. All three groups of subjects had an improvement in their fasting blood sugar levels, as well as their lipid (blood fat) levels. As a result of this study, many people have jumped on the cinnamon bandwagon, so to speak, taking cinnamon supplements, adding cinnamon sticks to tea, and sprinkling cinnamon on their foods. 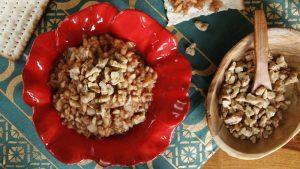 In addition, much debate has occurred regarding the type of cinnamon that’s best to use for diabetes: cassia or ceylon. • There are different types of cinnamon, primarily cassia and ceylon. • It’s difficult to assess the potency of any particular “batch” of cinnamon, no matter the type. • The active ingredient or ingredients in cinnamon that might have a glucose-lowering effect have yet to be identified. Without definitive answers to these issues, it’s hard to be certain of the role of cinnamon on glucose control. Much of the “evidence” is anecdotal: Someone reports that taking cinnamon helped to lower his blood sugar, therefore cinnamon definitively lowers blood sugar. Unfortunately, in the world of research, anecdotal reports don’t cut it. But what has more recent research revealed since the 2003 study? Vanschoonbeek et al, 2006: Cinnamon supplementation of 1.5 grams per day for 6 weeks did not affect blood sugar or lipid levels in postmenopausal women with Type 2 diabetes. Baker et al, 2008: A meta-analysis (analysis of data from several clinical trials — in this case, a review of five prospective randomized trials) concluded that cinnamon did not improve blood sugar, HbA1c, or lipid levels in people with either Type 1 or Type 2 diabetes. Leach et al, 2012: Another meta-analysis reviewed 10 different clinical trials involving a total of 577 subjects with Type 1 or Type 2 diabetes, taking an average dose of 2 grams of cinnamon daily for 4–16 weeks, concluded that there is “insufficient evidence to support the use of cinnamon for Type 1 or Type 2 diabetes mellitus.” Of note, however, the authors stated that many of these studies were not well conducted and lacked in quality. Lu et al, 2012: This was a Chinese study of 66 subjects with Type 2 diabetes who were given a placebo (inactive treatment), or 120 milligrams or 360 milligrams of cinnamon extract, along with a sulfonylurea (oral diabetes medicine), for 3 months. Both HbA1c and fasting blood sugar levels were significantly reduced in the treatment groups but not the placebo group. Lipid levels remained unchanged. The authors concluded that cinnamon is effective at improving glucose control in Chinese patients with Type 2 diabetes. Akilen et al, 2012: A review of six clinical trials with 435 subjects who were given doses of cinnamon from 1–6 grams per day, and followed for between 40 days and 4 months, showed a “significant decrease” in average HbA1c levels of 0.09%. Allen et al, 2013: A review article of clinical trials looking at the effect of cinnamon on blood sugar and lipid control concluded that cinnamon is associated with a “statistically significant” decrease in fasting blood sugar, total cholesterol, LDL (“bad” cholesterol), and triglyceride levels (a type of blood fat), but not HbA1c. However, the preferred dose and duration of therapy is still unclear. • What’s the right type of cinnamon to use? • What’s the best formulation in which to administer cinnamon — capsule, extract, tea? • What’s the ideal dose to take? • For how long should one take cinnamon? • Does cinnamon work differently in different populations? Cinnamon may indeed be effective, at least for some people, in lowering blood sugar levels. Yet many diabetes medicines do a better job. Understandably, however, some people are leery of taking medication due to the potential side effects; cost is another factor, too. Cinnamon is a relatively safe supplement when consumed at a dose of a few grams per day (1 teaspoon of powdered cinnamon is about 4 grams). No significant adverse events have been reported. However, it’s good to be reminded that “natural” substances aren’t necessarily any safer than medication. As many readers have pointed out, cassia cinnamon contains a compound called coumarin, which is toxic to the liver and can cause potentially irreversible damage. Definitely, anyone who has liver disease or liver problems should avoid taking this type of cinnamon. • Always check with your health-care provider before taking this or any type of supplement. • Don’t stop taking your diabetes medication without checking with your doctor. • Give yourself a time frame in which to see results. If you’re not seeing any improvements in your blood sugars and/or HbA1c, stop taking it. Let’s hope, going forward, that more research will be done with cinnamon and that we will continue to learn more.